Well another wonderful workshop with JoAnn Kelly Catsos is over. While I am sad about it, everyone made some beautiful baskets and equally beautiful memories. 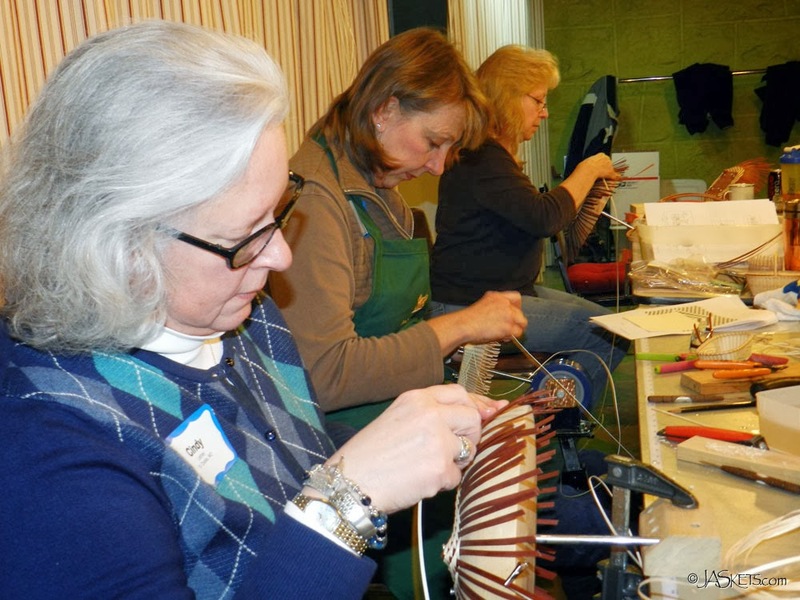 Three of the talented basketmakers get to work. Our first basket was a full-size (approximately 9" dia.) Lightning Bowlt of natural and dyed hand-pounded black ash. The basket is woven of basically a two-two twill pattern, but it is the reversing of the pattern that creates the dynamic lightning bolt pattern. Lightning Bowlt ready to have its rims lashed. The baskets are finished with a dyed rim to match. 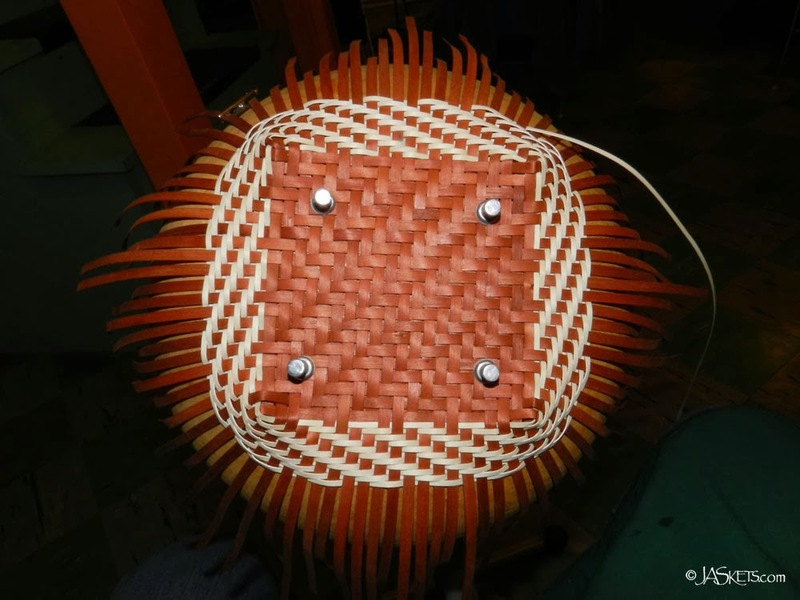 While traditional Shaker baskets do not have any type of rim filler, this contemporary basket uses a twisted piece of waxed linen. 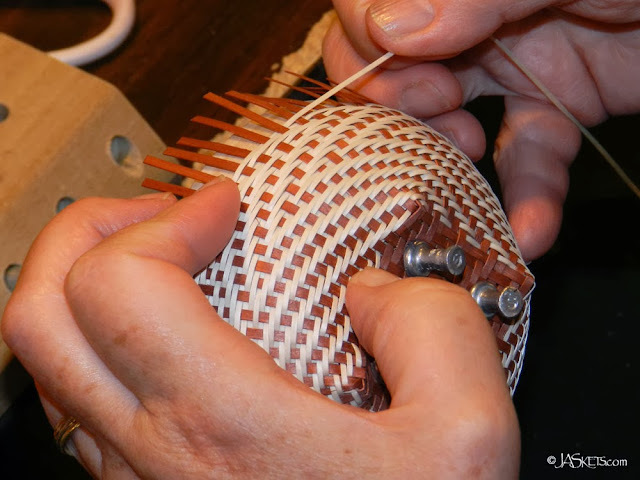 Miniature Lightning Bowlt Basket being woven. After completing the full-size basket we are set to make a miniature version using hand pounded black ash expertly prepared by JoAnn and her husband Steve Catsos. 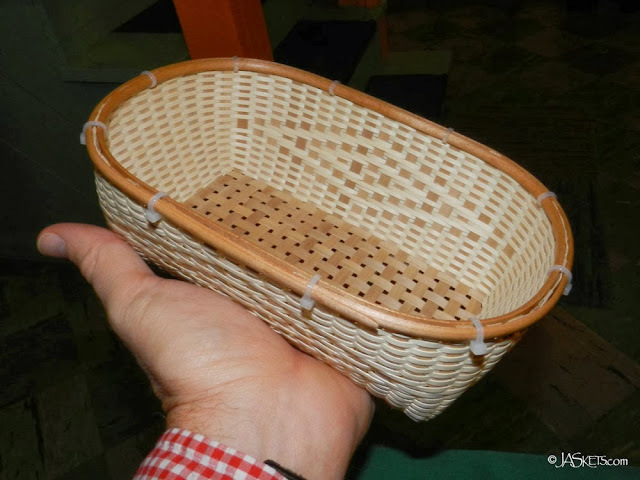 Full-size and miniature Lightning Bowlt Baskets. 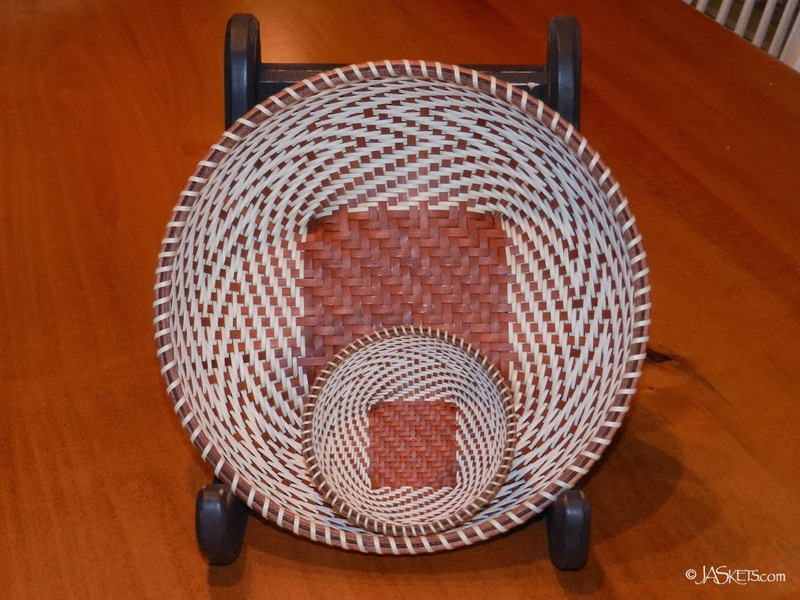 The contrast between the natural and dyed ash makes for a striking pair of baskets. 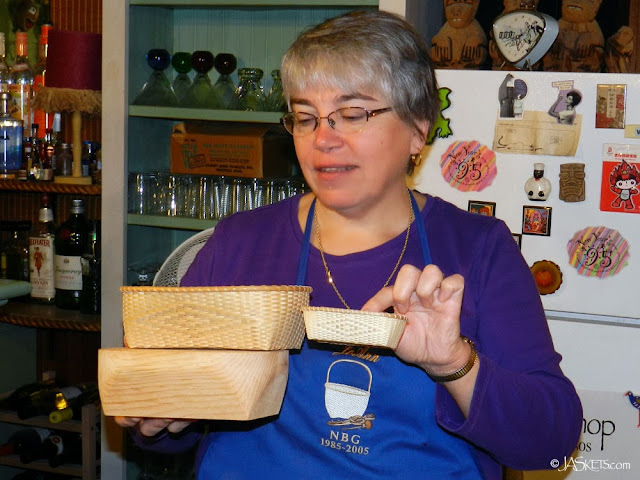 Instructor and basketmaker JoAnn Kelly Catsos. On the third day of the workshop JoAnn introduces the next series of baskets, the Diamond Twill Bureau. Full-sized Diamond Twill Bureau Basket ready to be lashed. 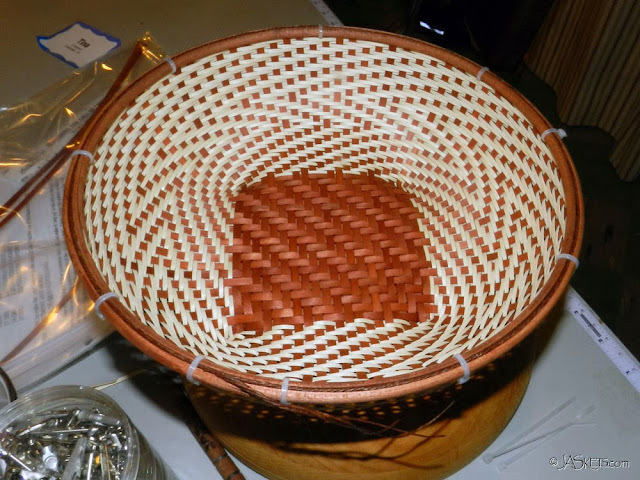 The color contrast in this basket is achieved from the natural color difference between the sap and heartwood of the black ash. 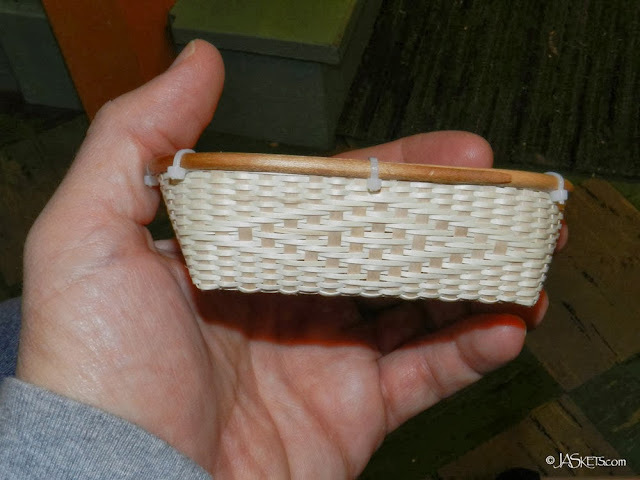 Miniature version of the Diamond Twill Bureau Basket ready to be lashed. The miniature version of the Diamond Twill Bureau basket is a perfect companion for the its big brother. 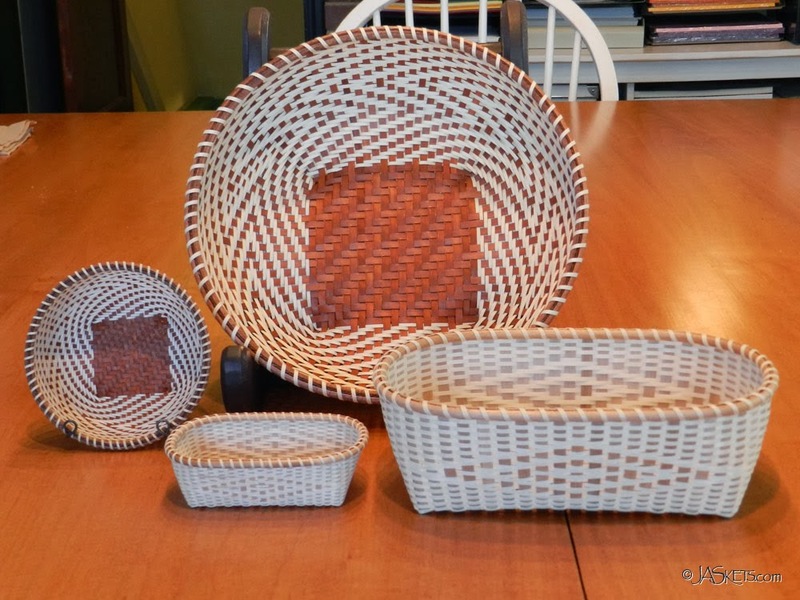 The four baskets I wove in the 2013 JoAnn Kelly Catsos basketry workshop. Four days and four baskets makes for a perfect long weekend. Now to find the perfect place to display these treasures.